GOICHON, A. -M (۱۹۸۶). 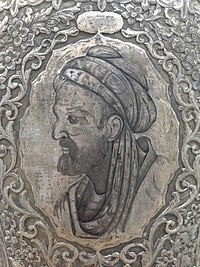 "IBN SĪNĀ". Encyclopaedia of Islam. ۳ (2nd ed.). Leiden: E. J. Brill. pp. ۹۴۱. ISBN ۹۰ ۰۴ ۰۸۱۱۸ ۶.